One of the moments that stood out at the WWE Hall of Fame ceremony Friday night featured a plea from a new HOF inductee. “The World’s Strongest Man” was among the latest superstars inducted into WWE’s Hall of Fame for the 2018 class. During his speech, he begged for a late superstar’s widow to please allow the WWE to induct her deceased husband into WWE’s Hall. In addition to that, Henry called out a few of the top WWE superstars sitting in the audience for Friday night’s event. According to Pro Wrestling, at Friday night’s ceremony, speeches were delivered by all of the latest inductees into WWE’s Hall of Fame. That included former tag team champions The Dudley Boyz, former women’s champion Ivory, and legend Hillbilly Jim. There was also Goldberg and Mark Henry, both of whom seem to have officially retired from in-ring competition. Henry didn’t shy away from making a request for a future inductee, who many other colleagues and fans feel is more than deserving of a Hall of Fame spot. That superstar is the late, great Owen Hart, who had a run of nearly a decade with the WWE and achieved several distinctions including a King of the Ring win, the WWF Intercontinental title twice, and the WWF Tag Team Championship four times. As he became emotional during his speech, Henry spoke about his late friend, Owen Hart. Henry, with tears visibly streaming down his face, delivered his plea to Owen’s widow, Martha. 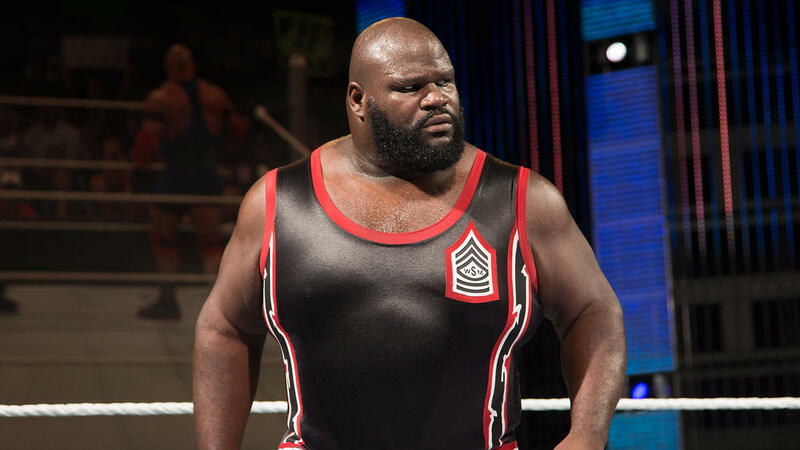 In a video clip released by WWE, Mark Henry’s mention of Owen Hart isn’t shown, but he mentioned that he felt he deserved a shot at several of the championships. Henry singled out John Cena, WWE Champion AJ Styles, and Roman Reigns in the audience as superstars he could take. His mention of Owen Hart can be seen in a fan video posted here. Owen enjoyed a run with WWF/E from 1991 through 1999 which included him teaming and feuding with his brother Bret Hart. He also would team up with another recent HOF inductee back then, Jeff Jarrett. However, many fans also realize he suffered an unfortunate death which cut his professional wrestling career short. At the age of 34, Owen fell to his death while attempting a WWE stunt at a pay-per-view event. That stunt involved a harness and having Owen lowered to the ring as his alter ego, The Blue Blazer, for a match. Since then, WWE has probably wanted to induct Owen Hart into their Hall of Fame posthumously many times. Unfortunately, his widow Martha has not allowed for it. Several lawsuits were filed by Hart’s family following his death, including one in June of 2010 to sue WWE for the use of Owen’s name and likeness as well as photos of the Hart family in an Owen Hart DVD they released. A trial was scheduled, but a settlement happened in June of 2013 with the amount paid out undisclosed. Since then, the relationship between Owen’s wife and WWE has been a bitter one. Henry’s emotional speech serves as a reminder that Owen Hart should have been inducted into the WWE Hall of Fame years ago based on his body of work. Fans will hopefully one day see the superstar referred to as “Nugget” gain his rightful entry thanks in part to Henry’s passionate plea from Friday night.